Martin Luther King, Jr. addresses crowds during the March On Washington at the Lincoln Memorial, Washington D.C. This weekend was the 33rd annual observance of Martin Luther King Jr. Day. 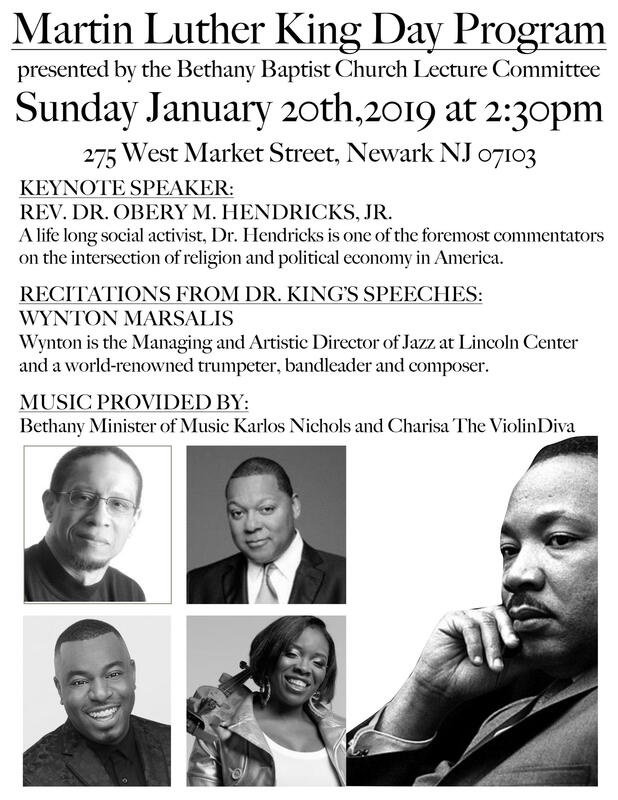 Bethany Baptist Church in Newark, N.J. marked the occasion with a special music program on Sunday, Jan. 20, along with recitations from Dr. King's speeches by legendary jazz musician Wynton Marsalis, and a keynote address by lifelong activist and scholar the Reverend Dr. Obery Hendricks, Jr.
Interview with the Rev. Dr. Obery Hendricks Jr.
WBGO's Alexandra Hill sat down with Dr. Hendricks to talk about the program, the influence of jazz in the civil rights movement, and a side of Dr. King many never saw.